The popular and highly respected horse trainer Mark Rashid brings together Western and Eastern philosophies to demonstrate a seamless new incarnation of horse training. After years of helping difficult” horses, Mark Rashid understands how to build the foundation of a horse’s training and resolve any problems encountered along the way. He explains how he allows the traditionally firm or assertive approach of the old Western style to take some lessons from the softer conflict resolution and ego reduction approach that the Japanese martial art of aikido teaches. Rashid’s ultimate goal is for harmony between horse and rider. When Rashid discovered the art of aikido, he came to realize the effect it had on his own sense of self. After extensive training in this martial art form, he learned how to use his mind and body more efficiently and effectively and improved his equine sense to help horses become better competitors and a more pleasurable mount. Aikido helped Rashid become a more informed and more skilled rider and trainer. 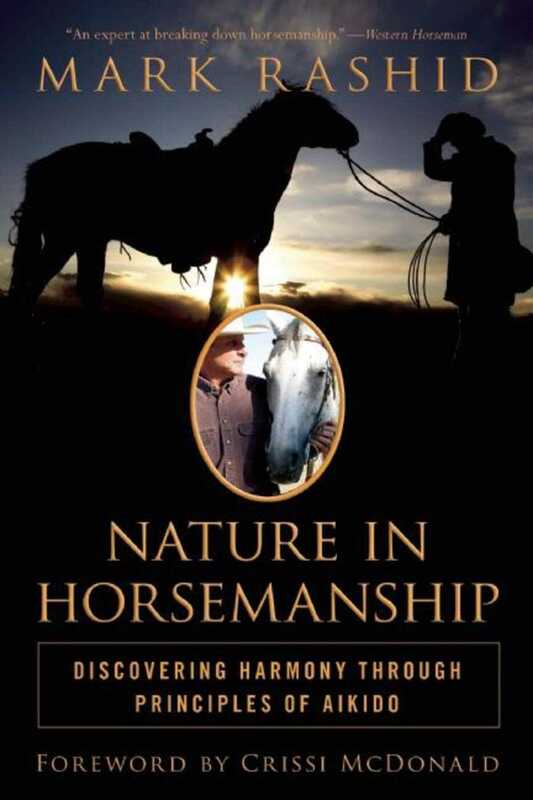 In this book, Rashid shares that knowledge with readers, allowing them to bond better with their own horses.